Comal County Commissioners Court meets 8:30 a.m. tomorrow at 100 Main Plaza, New Braunfels. 2. Proclamation recognizing and honoring Clinton Brandt as a 2016 Living Legend in Comal County. 3. Proclamation recognizing and honoring Lucille Davis Garcia as a 2016 Living Legend in Comal County. 4. Proclamation recognizing and honoring Iris Timmermann Schumann as a 2016 Living Legend in Comal County. 5. Proclamation Declaring National Night Out 2016. 6. 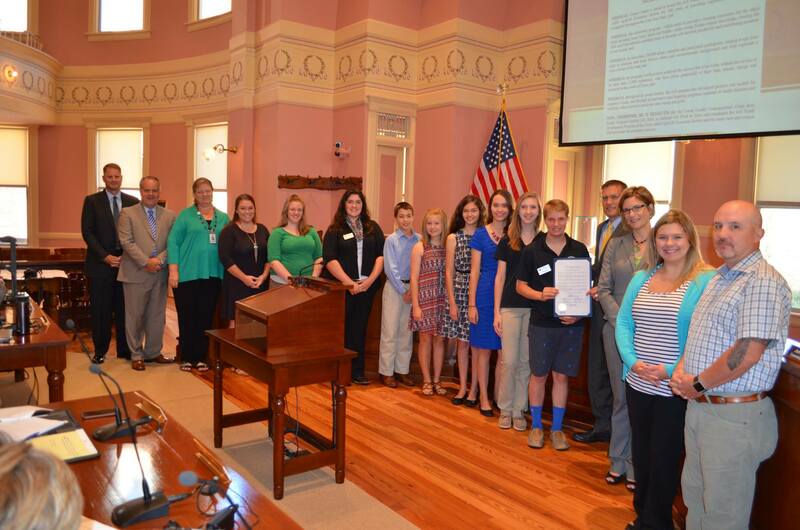 Proclamation recognizing October 3-8, 2016 as National 4-H Week in Comal County. 7. Proclamation recognizing October 2016 as Domestic Violence Month in Comal County. 9. Retirement Recognition of Patricia A. Frailing for over 13 years of service to the Comal County Justice of the Peace, Precinct #3 and to the citizens of Comal County. 10. Reports by County Staff and Elected Officials on items of Community interest. 4. Discuss and consider approval of Resolution 2016-26 appointing Commissioner Haag to represent Comal County on the City of New Braunfels Community Comprehensive Plan Advisory Group. 5. Discuss and consider acceptance of resignation of Theodore Wilcox from Emergency Services District #5 Board of Commissioners. 6. Discuss and consider appointment of Donald Hamilton to Emergency Services District #5 Board of Commissioners to fill seat vacated by Theodore Wilcox. 7. Discuss and consider approval of the FY 2017 Texas Certified Local Government Grant with the Texas Historical Commission and authorize County Judge to sign. 8. Discuss and consider approval of the Texas Association of Counties Workers’ Compensation Program Renewal effective 01/01/2017, and authorize County Judge to sign. 9. Discuss and consider approval of the Texas Association of Counties Risk Management Pool’s Liability Program Renewal effective 01/01/2017, and authorize County Judge to sign. 10. Discuss and consider approval of Resolution 2016-27 Authorizing the Purchase of Real Property. 11. Discuss and consider approval of Order #382 for the disposition of surplus property. 12. Discuss and consider approval of a budget amendment, FROM: General Fund Reserves in the amount of $150,000.00, TO: Jury Fund to increase public defenders/attorney fees for indigent defense.